What insurance do you need for your tiny home in Washington DC? What insurance do I need for my tiny house in Washington DC? Unlike many states around the country, Washington, D.C., has very detailed guidelines on tiny houses. They are among the first states to take action about tiny houses, and it is helping tiny house owners figure out what they can (and cannot) do with their tiny house lifestyles. Since Washington, D.C., has regulations for tiny house living, it can help you have a better idea of what you need to do to make your tiny house legal. Compare rates today with our free quote tool above just by entering your zip code! Insuring your Tiny House on Wheels in Washington, D.C.
Coverage while Parked in Washington, D.C. While Washington, D.C., does have new regulations for building your home and keeping it compliant while on the road, most of the regulations are concerning things like fire code and living spaces. There are no official requirements for insurance on your tiny house, but that doesn’t mean you don’t need insurance. You will still need to insure your home when you’re building it, if you have to tow it and while it is parked in Washington, D.C. Most people choose to build their tiny houses in areas that they will not be permanently keeping the house. They do the construction and then tow the house to the location where they will keep it permanently. Whether you’re towing your home to a different location or you’re building right where you’ll be keeping the home, you need to have some insurance while you are building the home. Some people may choose to build a tiny house through the use of a contractor. There are many contractors who can help you figure out exactly what you need to do to keep your tiny house within the Washington, D.C., guidelines. You will need to check around and find a builder who has a good insurance policy. This policy should release you from any liability on the home while the builder is creating it. It should also protect the materials for the home in case something happens. Builders who are RVIA certified will need to have insurance that complies with the RVIA guidelines. By hiring someone who is RVIA certified, you will be guaranteed to have a builder who is insured. Along with other benefits, an insured builder will help you stay protected throughout the construction process. An easy way to save money is to simply build your tiny house yourself. This may seem simple, but many people find it to be complicated once they get started. You need to shop around to find an insurance agent who will help you stay covered while building your tiny house. Most construction insurance policies relate to a builder or a contractor, but comparing different policies will help you find one that can cover all the materials you’ve purchased to build your tiny house. An insurance policy on your materials can help protect you if they are stolen, there is a natural disaster or something catastrophic happens with the materials. In addition to a material insurance policy, you may want to consider a liability policy. If you do not carry liability for your tiny house building project, you may be held responsible if someone gets hurt. This policy will require you to hire a licensed electrician in Washington, D.C., to do all the electrical work on your house. After your house is built, you’ll need to get it from the building site to where you will be keeping it permanently or temporarily. To do this, you’ll have to tow the tiny house. After getting the right type of tow vehicle and hitch, you’ll need to consider the insurance aspect of your tiny house while it is being towed. As long as your house was built by an RVIA certified builder and you have the documentation to back that up, you should be able to get RV insurance in Washington, D.C.
Not all insurance agents can provide RV insurance, so compare several different agencies to ensure you can get the right type of coverage for the right price. If you choose to not insure your tiny house as an RV, you will still be liable for any damage during towing. If you don’t have the RVIA certification in Washington, D.C., you will need to talk to an insurance agent about what your other options are. Doing this will allow you the chance to get the best price, the right type of coverage and everything else you need for your insurance. It will also allow you the chance to cover your RV while you are towing it. In Washington, D.C., you don’t need to have coverage on your RV, but you should still carry it. The law requires you to also carry coverage on the tow vehicle. Your coverage should be at least $25,000 in liability for each person and property, but consider purchasing more than the minimum so you are protected in an accident. It may be more complicated to insure your tiny house in other areas if you do not have RVIA certification, but that is not the case with Washington, D.C. With the new codes and laws that have been put in place, a tiny house is still considered a permanent dwelling. You will just need some type of renter’s insurance to cover you while you are living in the tiny house. A homeowner’s policy can also be helpful, but may not always cover things like theft. If you do not own the land on which your tiny house sits in Washington, D.C., you will not be able to buy the homeowner’s policy. The law in Washington, D.C., requires tiny houses to be permanently occupied so you will need to find some type of policy to match up with that. 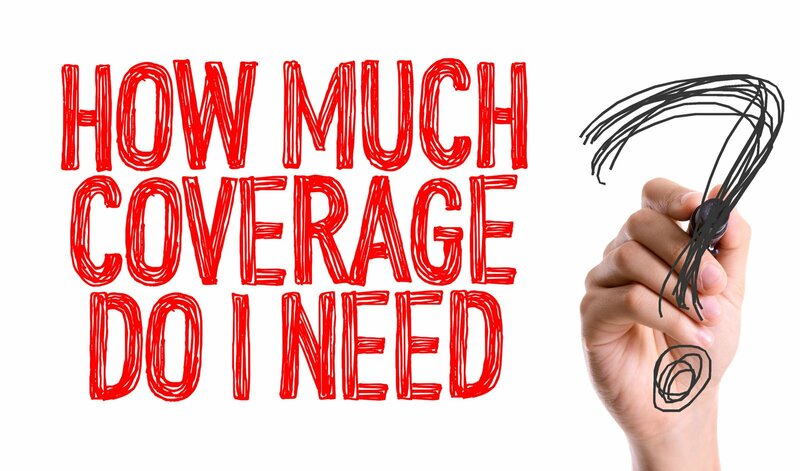 If you check with several different agents, you will likely be able to find the right type of coverage. There are more than a few ways you can save money on tiny house insurance in Washington, D.C. It is one of the states that allows you to bundle your policies together which can be helpful since you have to carry two or more policies on your tiny house. You can also talk to different insurance agents to see what you are paying for when it comes to the rates you get on their policies. Don’t miss out on our free quote tool below! Just enter your zip code and start comparing rates now!